This Waltons 3ft x 6ft Pressure Treated Wooden Double Log Store is great for those looking to store logs for a fire place or log burner. 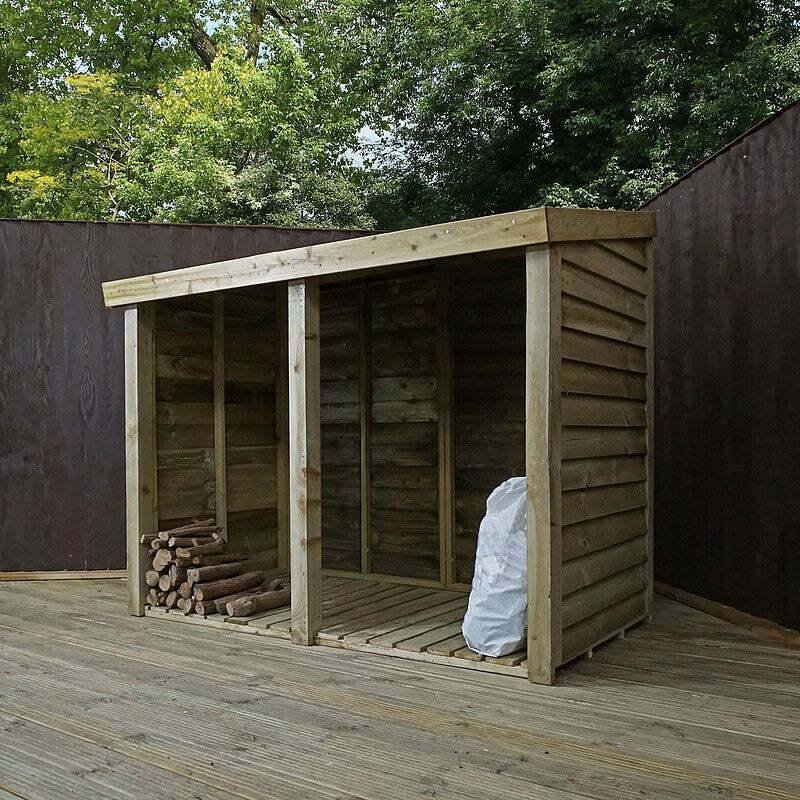 The log store is made from robust materials and features a rustic design that will look great in any style of garden. Featuring two units, this log store can also be used to store frequently used gardening items such as compost, spades and hose pipes, helping to keep your outside space tidy. Waltons wooden log stores are designed to keep logs dry and feature an open design to encourage air flow, ideal for drying out fire wood. To ensure that this wooden log store lasts for many years to come, the ethically sourced timber has been pressure treated with a high quality preservative. Pressure treating the timber offers the best protection against weather damage and comes complete with a 15 year anti rot guarantee. Slatted 16mm timber floor boards raises the logs from the ground, offering protection against damp. The 16mm overlap side and roof panels are supported by strong 2” x 1” interior framing for a robust and durable construction. The overlap design creates a weatherproof panel that provides an efficient water run-off, helping to keep logs dry. Great to know you're happy with your product and that your service from Waltons swift. I am pleased that you are happy with the quality of your log store and I thank you again for your positive feedback- it is much appreciated!